Update for 2018: We recently updated our loft conversion price guide (see it here) and decided to take another look at conservatories. The figures on this page were updated in March 2018 and include every aspect of a conservatory build. Are you weighing up your options and thinking about adding extra living space by installing a conservatory? Explore Our Price Guide Today – Can We Help You Save Money? Keep reading to explore our in-depth guide to conservatory options and prices. 3 – Is planning permission required? 5 – Will a conservatory increase house value? 6 – What’s best; a plastic or glass roof? Poll – How Much Do You Think a Typical Conservatory Will Cost? We are currently doing research into how much consumers think popular home improvement projects will cost. How much do you think a white Upvc conservatory 4m x 3m with glass panels will cost? Below are the most popular styles seen in the United Kingdom. This list isn’t exhaustive as conservatories can be custom made to match almost any desired shape or size. 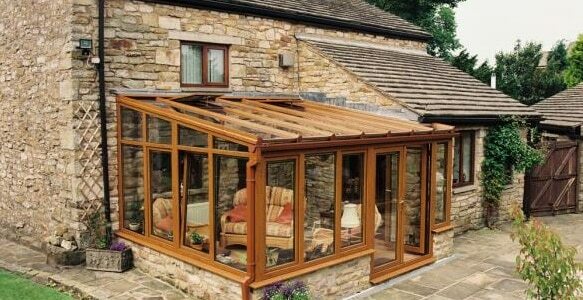 Lean-To conservatories are the cheapest to purchase and install. That doesn’t mean that this style is at the low end of the quality scale. Even a small lean-to can be made to feel like a premium installation with good quality doors, a decent sturdy roof and attention to detail with the type and quality of the finishing touches. Victorian style with white frames. This style is the most popular in the UK and also the most versatile. The conservatory usually has between 5 and 7 sides and the door can be located on any facet. Also, this style sits well alongside older period properties. 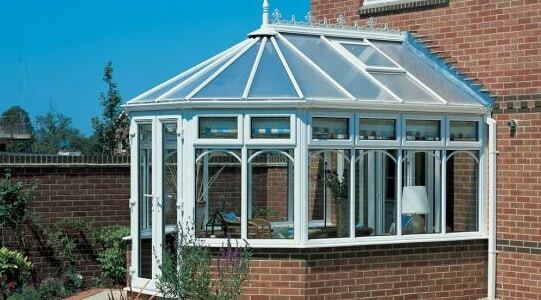 This conservatory is similar in price and design to the Victorian variant. The roof on an Edwardian conservatory maximises the amount of light that can enter the room. Up to four large roof facets ensure that whatever time of the day it is, you’ll be getting the best light into your conservatory. This is my favourite type of conservatory style. But it does come at a premium. The front of the design has a gable (apex) which blends in perfectly with the angled rooflines on most houses. This design is best suited to larger houses with a high roofline and where the homeowner wants to match elegance with open space. These types of conservatory often incorporate a gable/apex along with extra internal space. 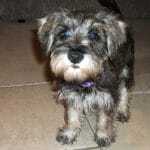 They are best suited to houses that have long straight walls in the garden. The size of these buildings means you really can maximise the floor space by creating two separate living areas inside the same frame. When you explore our conservatory prices further down the page, you should also bear in mind that there are extra costs that won’t be included in the basic price. One of the biggest complaints conservatory owners have is that their new space is far too cold in the winter and just isn’t practical during the cold months. We already have a guide price for installing radiators to the home, so check it out to see the going rate for a new radiator and some extra pipework. We also suggest, that instead of guessing how many radiators you need and what size, that you use a BTU calculator such as this one. 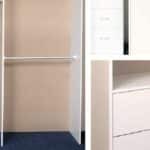 These are handy as you can quickly determine how many radiators you’ll need for a given space. 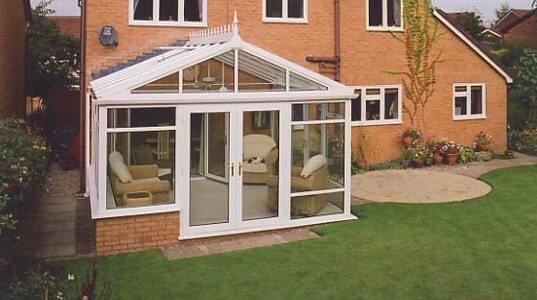 Whether you choose glass, plastic or even tiles for your roof, a conservatory can get hot during the summer. Thermally reflective glass can help but it’s costly and we still recommend an air conditioning unit. At the lower end of the scale are free standing units that cost around £350 while for a larger conservatory, expect to pay £850 and upwards for a fully fitted wall mounted system. Also, consider a ceiling fan which can help to circulate the air in the room. 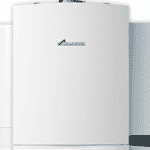 This page contains prices for home air conditioning. Depending on the size of your conservatory and your preferences, you could end up paying more for window and ceiling blinds than any other item in the entire conservatory. We can’t suggest a guide price without knowing more details about the customer’s choice, conservatory shape and size etc. Don’t be surprised if the cost of blinds runs into the thousands, especially if you want ceiling blinds that will certainly need to be custom made. 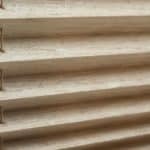 This page is all about conservatory blind prices in the UK. This can be as cheap or expensive as you want. The choices are limitless. 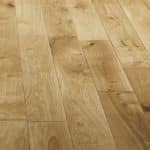 Most homeowners tend to avoid carpets (see carpet fitter’s rates here) and go with either tiles or wooden flooring (wooden flooring prices are here). Most conservatory installers will include the cost of basic lighting, usually in the centre of the ceiling. Do consider having floor or wall lights to create a softer ambience. Lighting can really make or break a conservatory that is used in the evening, so a little thought, planning and creativeness can reap rewards. After all, a perfect conservatory won’t be one that you only use during the summer, but will be a practical and enjoyable space at any time of the day and evening, regardless of the season. These types of doors have become very popular in recent years and what was once seen as a premium product for the rich and wealthy are now much more affordable. There are two places to install these doors; between the house and the conservatory and between the conservatory and the garden. We do not recommend installing these doors in the outside wall between the home and conservatory, the way the doors open mean you’ll be losing some valuable space, it’s also not practical unless you have a large conservatory. It would be far better to fit them on the conservatory leading out into the garden, as you can see from the photo above. 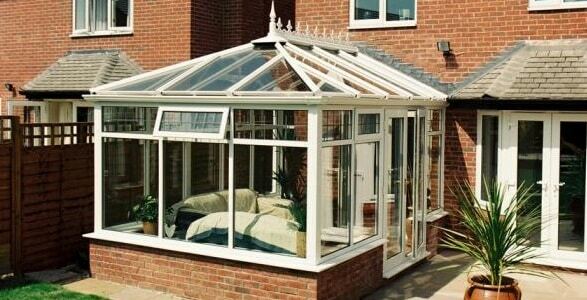 The prices vary as they depend on the size, type and style of conservatory. We have a bifolding door price guide for regular installations (not in a conservatory), so you can get a rough idea of prices. This cost is often overlooked by homeowners when budgeting for a conservatory. 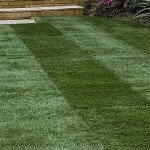 Any patios, decking, flower beds, lawns and paths may need to either be constructed or if they already exist, be altered to accommodate the conservatory. Do Conservatories Require Planning Permission? The good news is that with the recent housing crisis in the UK, the government has taken steps to streamline the planning permission process. For most loft extensions, some rear extensions and almost all conservatories, you won’t need to obtain planning permission for the work. The list above isn’t exhaustive and there are other conditions, should you wish to construct a conservatory under “permitted planning” rules and avoid the regular planning permission route. Timescale – How Long Does it Take to Build a Conservatory? Once all the preparation work is done, the conservatory build could be fully completed in as little as a week, assuming that the project is managed efficiently and tradespeople arrive on time. What About House Value? Will it Increase? The consensus is that yes, the value of a typical house will increase if a conservatory is added. 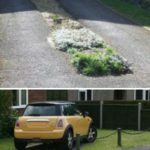 If the build takes up too much space in a small garden then it could be less appealing to buyers. Also, conservatories with cheap plastic roof panels are the least desirable as they look low-budget and don’t let in as much light. These glass houses are becoming cool again – so long as they are actually made of glass. Conservatories built on the cheap with uPVC can actually deter buyers, and can feel very dated. Remember that gardens also add significant value, so strike a balance between adding the extra room and minimising outdoor space. The idea is to have a conservatory or orangery which acts as a segue between indoors and outdoors. Constructed to a good standard, you can expect a conservatory to add around 5% to the value of the property. The roof panels are the key area, even with a plastic frame, the conservatory will look much more desirable with glass panels. Surely the plastic Polycarbonate roof is dead? Which conservatory roof glass is best? 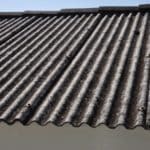 Have You Considered a Tiled Roof? Conservatory roofs are usually made from either plastic or glass but many people feel that this results in a room that either too hot, too cold or too bright. One option that is becoming very popular is to replace that material with a tiled roof and optional Velux windows. The result is a bright and airy space that feels more like part of the house rather than a bolted on structure. The photo above is just one option and as you can see from the windows, there is plenty of light entering the room, but the build doesn’t look like a conservatory. The price for a tiled roof will vary from installer to installer, it won’t be cheap but neither is glass. So swapping thermal reflective glass for a tiled roof is a viable option. Below is our cost guide for conservatories constructed in 2017. The prices include VAT and the build itself, including groundwork, dwarf walls and finishing off to a basic level, i’e plastering and electric sockets and lights in place. The figures exclude, flooring, blinds, knocking through a wall, french doors to the wall, alarms, plumbing work or air conditioning. Where Did These Conservatory Prices Come From? These prices were sourced from four companies that publish their price lists online. An average price was taken from all four lists. We made some minor adjustments to the conservatory sizes as each business published slightly different size charts. The prices were updated in Spring 2017 and are a guide only. We are not responsible for any errors by others and these prices are not in any way an offer, contract or binding agreement. Salespeople in the double glazing and conservatory industry typically earn a basic wage even if they don’t sell any products. When they do sell, they earn between 10% and 15% commission. Some businesses don’t employ any sales staff at all, to keep their costs down. Instead, they send paid employees and installers to answer any questions the customer may have and take all the necessary measurements. 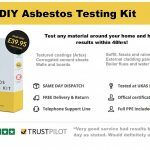 Also, do remember that there are many websites that claim to offer quotations online, but in reality they actually collect your details via a contact form and sell them onto double glazing and conservatory fitters for a set fee. This adds even more cost to the project as it’s an extra overhead. Therefore, the type of business you choose and how they operate can have a significant effect on the price you pay for a new conservatory. Our price guide is just an average of four published prices, so expect some hefty variations when you source your own quotes. What About Sales Staff and Their Commission? The average commission rate for double glazing and conservatory salespeople is between 15% and 17.5% for self-generated leads and cold leads (i.e door knocking). Leads that come from the company (i.e people who have filled out a contact form or phoned the company asking for a quote) are considered warm as there’s a good chance that the customer will accept a quote, hence a reduced commission rate, usually 10%. That surprises some people, but don’t forget; a salesperson can offer discounts to you that erode their commission. This is still typical of the commission structures seen today in these industries. For more information about sales staff commission rates and tradespeople earnings, go explore our insightful salary checker page. As regular visitors to our site will know, we absolutely love Pinterest and feel it’s one of the best places on the web to get ideas and inspiration for almost any home or garden project. Anyone can sign up and share their favourite images sourced from the web. These form collections and the most popular images can be searched by simply entering keywords into the site. While we have many years experience in the home improvement sector (inc conservatories) we have only ever worked in our local area, so we don’t advertise our services on this website. This site is an “information website” only – we don’t sell products or services ourselves here. However, due to repeated requests, we have teamed up with a partner that can source quotes for you.